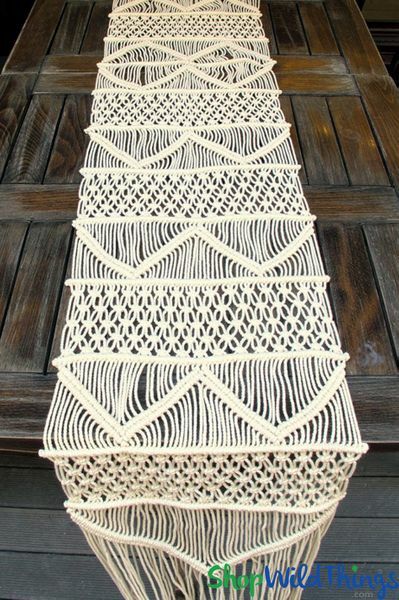 Be inspired by eco-friendly, naturally beautiful materials like our extra-long, Ivory Macrame Tapestry Table Runner that also makes an incredible hanging accent piece! At 1' wide by 9' long, this decorative cotton cord runner effortlessly adds elegance and interest while featuring soft, natural fibers. The patterned design on this runner is 69" with long, fringe strands adorning either end. This relaxed, flexible runner can be used for dining, sofa, console or entryway tables; use to accent a trunk, bookcase, bureau, dresser, entertainment center or chest of drawers; hang over a door, room divider or ladder shelf. Even as a bed runner, this macrame tapestry serves as a unique piece on its own. 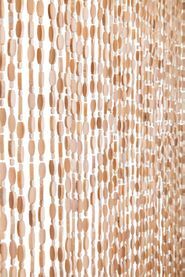 Identical on both sides, this runner is ideal for rustic, bohemian, shabby chic or natural themed weddings and events and it pairs beautifully with bamboo or Wooden Bead Curtains. Gracing tables at an outdoor event against Mother Natures' surroundings. Simply splendid! 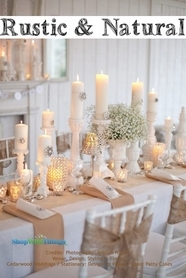 Adding a simple centerpiece of Ornate Butterflies playing among Pearl Garlands. Simply divine!